A member of a Syrian opposition party, Tarek Ahmad, has commented on a recent media report about an indefinite US military presence in the country, which had been slammed as an "aggression" by Damascus, after the defeat of the Daesh terrorist group. The United States' alleged plans to maintain its military presence in the northern part of Syria for an indefinite period of time after the Daesh terrorist group's defeat "once again confirms essential plans of the United States to secure its presence in the north of Syria, a representative of the opposition Syrian Social Nationalist Party (SSNP), Tarek Ahmad, told Sputnik on Thursday. According to Ahmad, "The United States wants to control the sources of petroleum and gas, and therefore interferes in the political settlement. 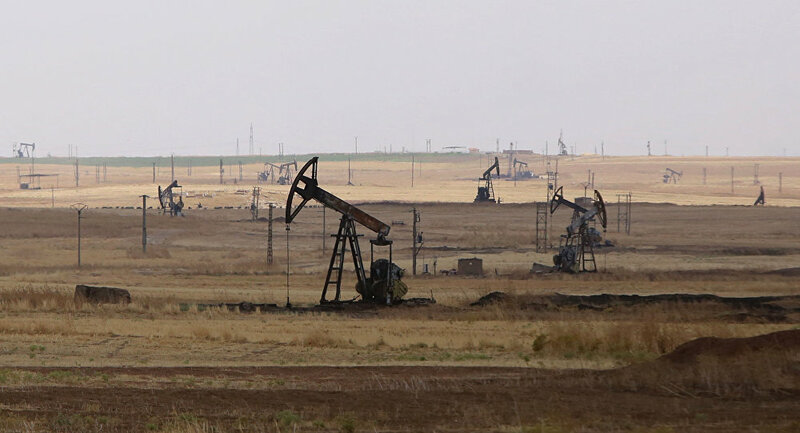 As of today, they are dependent on Kurdish troops in the region and help them to expand their control over the area of the Al-Omar oil fields." The report came after US Defense Secretary Jim Mattis said last week that US troops would not walk away until conditions were created for a diplomatic solution in Syria. In late October, the Syrian Democratic Forces (SDF), which is predominantly Kurdish, with US support, retook the Al-Omar oil field located in Deir ez-Zor province, which is the largest in Syria and had the capacity to produce 75,000 barrels per day before the outbreak of the war. According to estimates, Daesh had been receiving about $5 million per month off of oil sales from the field, before it was retaken. Damascus has repeatedly called the US presence in Syria an "invasion" and "aggression," as it has been approved neither by the legitimate government nor by the UN Security Council.